JAM team member Deb Pleva loves being involved with Girls on the Run and will be coaching her daughter’s team this spring! Photo courtesy of Girls on the Run. Started as a way to kick off the season of giving and charity, #GivingTuesday falls after one of the biggest consumer shopping days of the year: Cyber Monday. Now in it’s 7th year, #GivingTuesday encourages people to give their money, time and energy to give back to organizations that are in need of good. A Texas retreat. Courtesy of Casting for Recovery. Based out of team member Amy May’s hometown of Bozeman, MT, Casting for Recovery puts on free fly fishing retreats to aid in healing of the mind and body for women with breast cancer. They offer over 60 retreats across the country and serve around 800 women each year. A trail crew living and working in national parks during the summer. Courtesy of Eastern Sierra CC. ESCC provides programs for youth and young adults to experience and better understand the wilderness and our country’s natural resources. Their programs focus on priority populations and offer opportunities to learn about conservation, sustainability issues, history, geology, wilderness ethics, Leave No Trace principles, backpacking, trial stewardship and more. See more from Eastern Sierra Conservation Corps on Instagram. A “Moment of Happy” where every girl at an ashram or shelter receives her new bike. Photo courtesy of 88bikes. 88bikes helps provide girls with bikes all over the world, but especially those who have survived human trafficking. 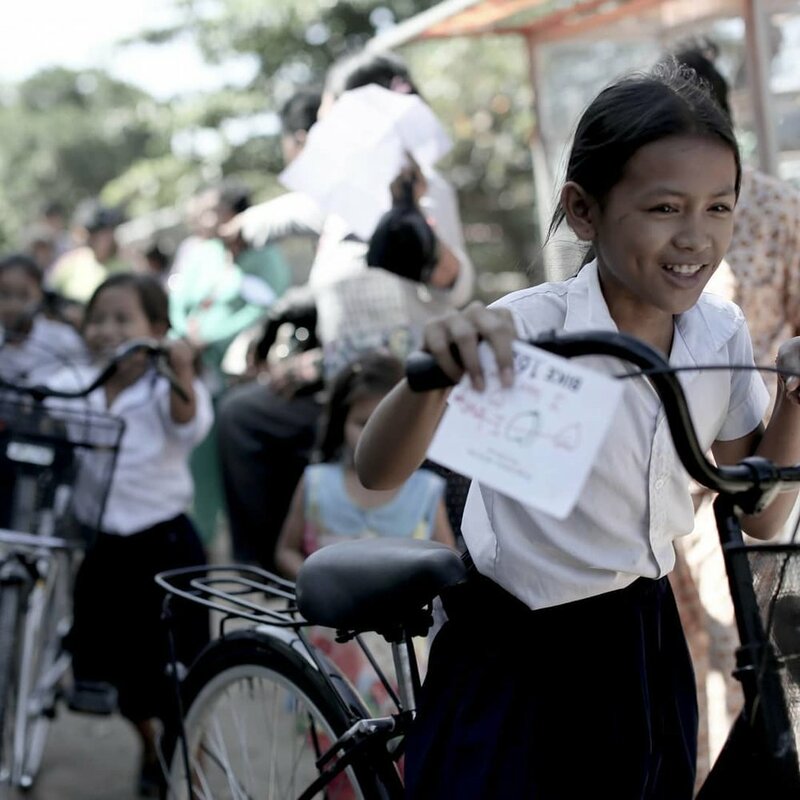 Donors from around the world give a simple donation, most often $88, and are connected with the young girl they have helped provide a bike for. Bikes are bought, distributed and repaired locally to infuse capital into the local economy. Follow along with 88bikes via Instagram. Fork & Spoon Homestyle Kitchen in Bozeman, MT. Delicious, homegrown meals everyone can afford. Photo courtesy of Fork & Spoon Homestyle Kitchen. 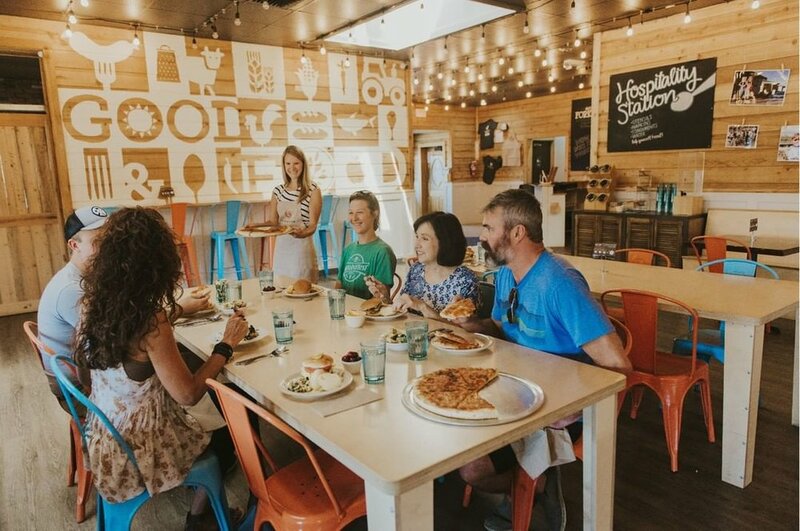 Based in Bozeman, Fork & Spoon is Montana’s first pay-what-you-can restaurant. Their focus is on inclusivity, and doesn’t inhibit anyone from having a homegrown, locally sourced meal just based on their ability to pay. Follow Fork & Spoon Homestyle Kitchen on Instagram to see what they’re cooking in their neighborhood. Deb’s 11-year-old daughter, Zuza, showing off her Girls on the Run skills and confidence. Building teamwork through dynamic activity and self-confidence through accomplishments. Photo courtesy of Girls on the Run. Through running, Girls On The Run strives to inspire young girls to pursue lifelong health and fitness and build confidence through accomplish. GOTR meets twice a week in small teams, teaching life skills through running games and interactive lessons. See more of what Girls On The Run does for young girls via Instagram. Raising funds during Relay for Life, the signature event of the American Cancer Society. Photo courtesy of Relay for Life. Cancer is one disease that unfortunately affects almost everyone, whether it be a personal battle or through a family member. The Leukemia and Lymphoma Society and the American Cancer Society are two organizations raising funds for research, finding cures and helping patients with treatments. Check out the Leukemia and Lymphoma Society and the American Cancer Society on Instagram. In-school, after-school and summer programs for K-12 put on by Mission Graduates makes college the norm in San Francisco’s Mission District. Photo courtesy of Mission Graduates. Through programs put on after school, during school and over the summer, Mission Graduates strives to make college the expectation for youth in San Francisco’s Mission District. Each year their programs reach more than 3,100 low-income children, youth and families. See the latest impact Mission Graduates is making in San Francisco by following them on Instagram. Based in Bend, Oregon, the Oregon Natural Desert Association is committed to educating and teaching people about the desert in hopes of encouraging them to take steps to conserve public lands. Sorting groceries is a huge task when you prepare 2,500 daily meals. Photo courtesy of Project Open Hand. Starting in 1985, Ruth Brinker, a loving grandmother and retired food-service worker, saw a need for homemade meals to nourish those suffering from the AIDS epidemic at the time. After an increase in requests for home-delivered meals, Ruth recruited volunteers and Project Open Hand has expanded to prepare 2,500 meals daily to people fighting HIV/AIDS, fighting cancer, heart disease, diabetes and other serious illnesses. Scott raised over $5k for Send It on the Death Ride. Jamie Schou was diagnosed in 2012 with a rare and aggressive form of cancer, Synovial Sarcoma. For the next two years, he vowed to turn “someday” into “today” by spending his breaks from chemotherapy biking, skiing, hiking and paddling. Jamie created the Send It Foundation in his final year of life to provide outdoor adventures and community to those fighting cancer. Human trafficking survivors create necklaces and braceletes at the She Has Hope Rehabilitation Center. Photo courtesy of She Has Hope. Starting in 2012 as a result of the alarming amount of Nepali women going missing, She Has Hope works on initiatives surrounding the prevention, rescue and rehabilitation of human trafficking victims around the world. Through prevention campaigns, safe centers, counseling, skill training and more, this organization hopes to leave everyone they work with with a renewed sense of hope. Based in Portland, Oregon, Snowdays Foundation focuses on teaching snowboarding to middle and high schoolers in underserved neighborhoods to help students gain self-confidence, strengthen friendships and gain and understanding and appreciation for Oregon’s natural environments. This year, your donation will go twice as far with evo matching all donations before January 1st! See what’s happening at Snowdays Foundation this season on Instagram.